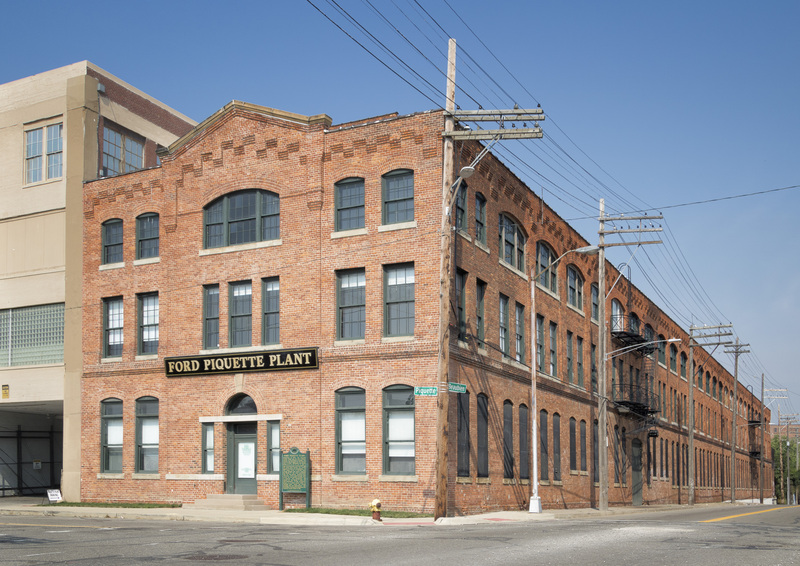 In the early 1900s, Detroit was leading the nation in architectural innovation and designer Wirt Rowland was at the forefront of this advancement, yet few are even aware of his substantial contribution to the evolution of architectural style. 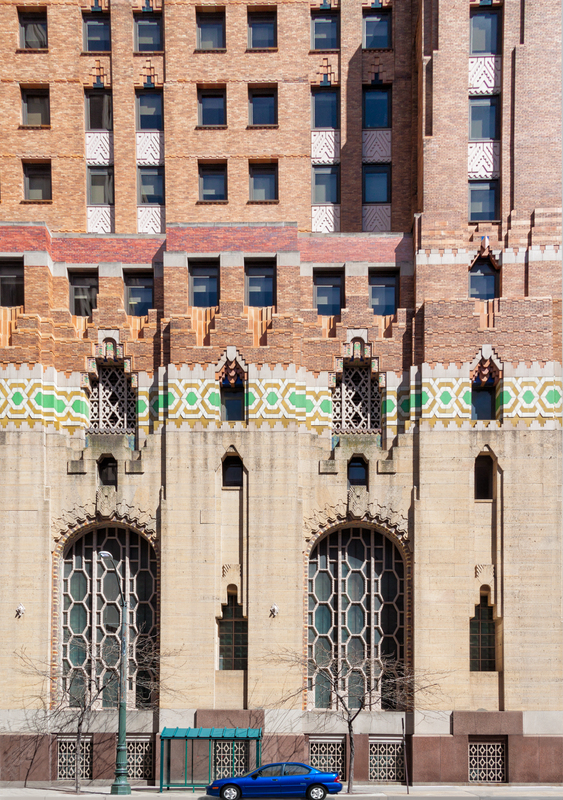 It is widely believed that celebrated local architect Albert Kahn designed many of Detroit’s structures, such as the General Motors and First National Bank buildings. In fact, while Kahn’s efforts were focused on running his highly successful firm, it was Rowland, his chief designer, who was responsible for the appearance and layout of these buildings—an important point in appreciating the contributions of both Kahn and Rowland. During the early twentieth century, Rowland devised a wholly new or "modern" design for buildings, one not reliant on decorative elements copied from architecture of the past. 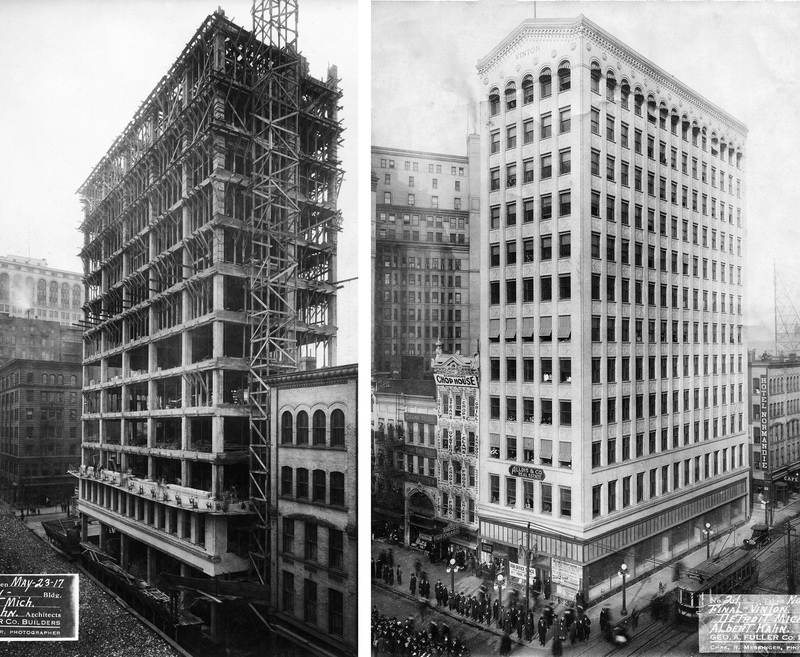 As buildings became more specialized for their intended use, Rowland met the challenge with entirely new design methodologies and a number of improved technologies and materials that subsequently became commonplace. Designing Detroit: Wirt Rowland and the Rise of Modern American Architecture begins with a brief overview of Rowland’s early life and career. Author Michael G. Smith goes on to analyze Rowland’s achievements in building design and as a leader of Detroit’s architectural community throughout both World Wars and the Great Depression. The interdependence of architecture with the city’s fluctuating economic prosperity and population growth is explored, illuminating the conditions for good architecture and the arts in general. 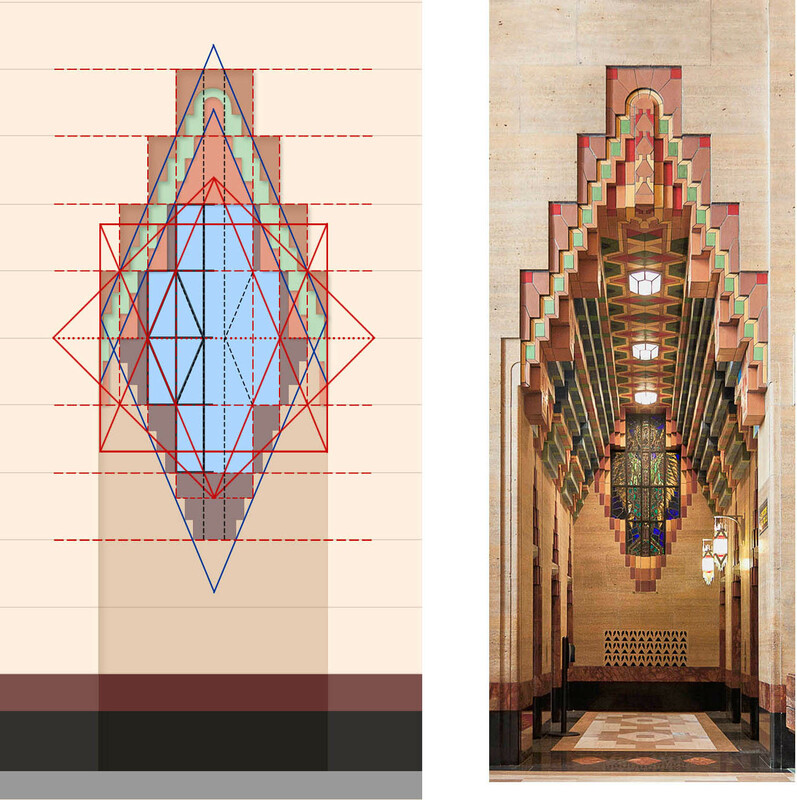 The author identifies the influence of Jay Hambidge’s "dynamic symmetry" in Rowland’s work and how it allowed him to employ color as a modern replacement for traditional ornamentation, leading to the revolutionary design of the Union Trust (Guardian) Building, for which he receives nearly unanimous praise in national media. This book is concerned primarily with Rowland’s influence on Detroit architecture, but spans beyond his work in Michigan to include the designer’s broad reach from New York to Miami. A comprehensive appendix includes extensive lists of Rowland’s publications, locations he had designed, and jobs taken on by his firm during his tenure. This book represents new research and insights not previously discussed in either scholarly or general audience texts and will be of interest to casual readers of Detroit history, as well as architecture historians. Michael G. Smith is a Detroit-area architecture historian with an interest in early twentieth-century building and construction. His lifelong enthusiasm for the fine arts led to an early career as a graphic artist and, more recently, his photography work has been published internationally. Michael G. Smith has given Detroit and the wider architectural community a great gift with this engaging, meticulously researched biography of Wirt C. Rowland. Shamefully overlooked until now, Rowland was the prolific modernist behind the Motor City’s most-exuberant Art Deco skyscrapers and an astonishing range of other designs. – Michael H. Hodges, photographer and author of Michigan's Historic Railroad Stations. He is currently at work on a biography of Albert Kahn (Wayne State University Press, 2018). Michael G. Smith has produced a monumental, well-illustrated, and long-needed study of a remarkable figure of twentieth-century American architecture. Smith’s thorough yet readable research uncovers the startling span and depth of Rowland’s career within cultural, aesthetic, technical and professional contexts, ultimately defining the contribution of Detroit to modern American design. Admirers of architect Wirt Rowland finally have the biography they were looking for. It was a long time coming. Beautifully illustrated with images both historic and contemporary. Designing Detroit: Wirt Rowland and the Rise of Modern American Architecture– Michael G. Smith (Wayne State University Press, $39.40)An ode to the unsung hero of Detroit architecture, Wirt Rowland served as chief designer under the famed architect Albert Kahn and designed many of the city’s hallmark structures, such as the General Motors and First National Bank buildings. The book will be important for architecture students, researchers, and practitioners as well as to general citizens and city leaders interested in the history of Detroit. Through an illustrative storytelling of Wirt C. Rowland and his three decades in Detroit's history, the book offers a critical insight into the architectural and urban scene of Detroit.It also outlines a greater need for historic conservation in the city to protect and celebrate its rich heritage in architecture and design.